Volkswagen is car manufacturer whose headquarter is in Wolfsburg, German. 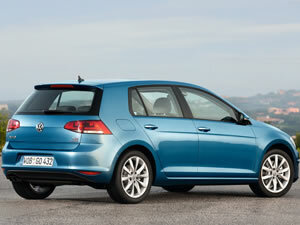 It is also the core enterprise of Volkswagen Group. The letter VW in the logo is the first letter of full name. The trademark is also composed of three “V”. It represents the victory of Volkswagen. The former wheel rim brake of Volkswagen is ventilating type. The rear wheel rim brake is the disc type. In addition, the hand brake type is equipped with electronic. Volkswagen wheel rim is made of steel. The spare wheel rim is full size. Wuxi Hengsheng Wheel Co., Ltd is a professional Volkswagen steel wheel rim manufacturer and supplier in China. In addition to Volkswagen steel wheel rim, we also provide other famous models steel wheels (rims) for our clients around the world, like Acura wheel rim, Audi wheel (rim), BMW wheel (rim), Ford wheel (rim for Mercury), Buick wheels (rims), Cadillac wheel (rim), Chevrolet (GMC) wheels, Chrysler (DODG, PLYMOUTH) steel wheels (rims), Daewoo wheel (rim), etc. We possess a professional technology team to guarantee the manufacturing of Volkswagen wheel rim. We will checkout all the products and give out a survey report. According to the needs of every client, there will be a dynamic balance sample survey among parts of the qualified Volkswagen wheel rim. Acura Wheel RimAcura is derived from the Latin "acu". It means "accurate". The trademark is a caliper used in the measurement. It represents the core values of the brand: accuracy and precision in Latin.